Finding an affordable home that suits your needs can be difficult. The frustration of searching through various listing sites can become overwhelming and even make you consider giving up the search altogether. Lucky for you, we have put together a list of reasonably priced homes from our agency that are all under $200,000. Check them out for yourself! Well maintained, conveniently located home with great storage areas and covered carports/outdoor spaces. Only a few blocks away from Pendleton Square and 6 minutes to Clemson University. Home is currently set up as a 2Bed/1Bath, with oversized living room open to dining room. Owners will put walls back for 3rd bedroom if buyer desires, prior to closing, or would provide credit for buyer to do post closing. This home has been loved and cared for and is ready to host new owner! You should see this house! Conveniently located 3BR/2BA home in Pendleton, ready for new homeowners. 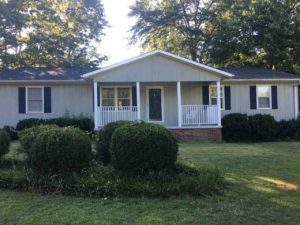 Very close to Tri-County Tech & Pendleton Square, with short drives to Clemson & Anderson. Comfortable home features a large living room open to kitchen & breakfast area. Kitchen offers plenty of counter & cabinet space, along with a bar/island between living room & breakfast with storage shelving. Breakfast area has sliding glass doors to access large patio & fully fenced yard with extra parking space. Master bedroom has his/her closets & full bath. Home has ample storage space available: coat closet, large linen closet, flex closet, storage area possibilities, plus an outbuilding. Area off of living room (previously a garage, now enclosed) offers additional space that could easily be heated & cooled (think play room, home office, craft/hobby space, workout room, bonus/rec room, or storage area); it also includes the laundry room and an exterior closet/workshop. Washer, dryer, refrigerator to convey. Bring an offer! Investors! 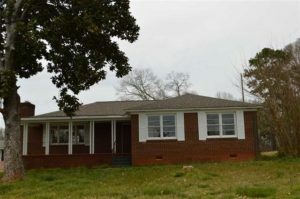 208 Summey Street: Recently renovated 3BR/2BA brick ranch, in a very convenient Clemson location. Hardwood floors in all bedrooms & dining room, & laminate flooring added in living room, bonus area, & hallways. Home offers spacious living room with fireplace open to dining room, oversized kitchen with open area for eat-in breakfast, large master bedroom with his/her closets & sizable bathroom with double sink vanity. Also includes a large bonus room area suitable for game room (billiards, ping-pong, air hockey), office or flex space. Other features include covered front porch, covered back porch/patio, laundry room, plenty of parking area, & garage. (NOTE: “Garage apartment” would require renovation for occupants, but has bedroom, bathroom & kitchen on upper level that offers another dwelling for lease potential). 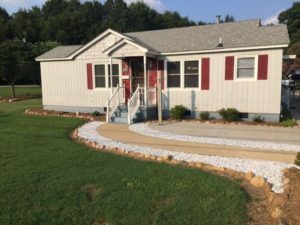 100 Young Drive: Renovations completed June 2017! 3BR/1BA with kitchen & family room. 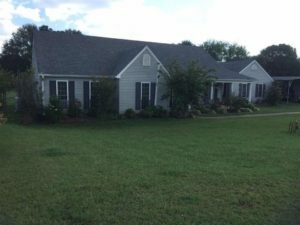 Seller says, “Bring me an offer!” This is an especially nice home in the established neighborhood of Forest Hills, just steps away from Clemson. This home features an open floor plan usually found only in newer construction, with vaulted ceilings in the family room, and many windows streaming natural light. The updated kitchen is open to the dining area and family room. The master is on one end of the home, with walk in closet and second vanity and sink area. The master bath has a shower and garden tub. The other bedrooms are on the opposite end of the home, also with walk in closets, and they share a large bathroom located off the hallway. Lots of closet space! Curtains and blinds remain, as do the appliances. There is a large concrete patio outback for grilling and just enjoying the serenity of this lot. Beautifully landscaped. A beautiful place to call home. 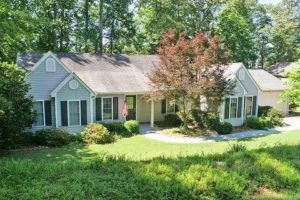 Here is a beautiful 3 bedroom, 2 bath home in Sandy Springs Ridge located in Anderson. On just over half an acre, this home features an open kitchen with a bar countertop overlooking the dining and living rooms. The master features a full bath with a jetted tub and separate shower. You will also find two spacious guest rooms located on the same level of this one floor layout. The front of the house features a beautiful and spacious porch. Out back you will find a fenced in yard. Refrigerator, built-in microwave, washer, dryer, dishwasher, and carport to convey with sale! 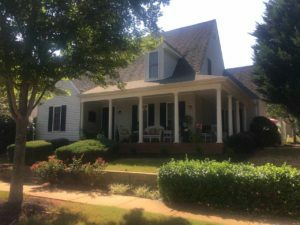 The location of this house is convenient as it is perfectly located between Anderson and Clemson with only a few miles to HWY 85. Front Porch Living outside this beautiful home in desired neighborhood of the Falls of Meehan in Historic Pendleton. Yard maintenance is covered in the HOA fees. You will also enjoy relaxing on the private patio. Master on main floor. This beautiful 3 bedroom/2.5 bath house is in The Falls at Meehan. 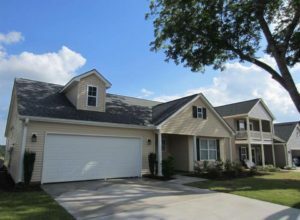 The home features an attached 2 car garage, patio, front porch, cathedral ceiling in den, and master with walk-in shower and double vanity. It is situated near the sales office and is on one of the largest lots. This development is conveniently located near Clemson University, Tri-County Tech, Historic Pendleton Square, Hwy 76, and I-85.